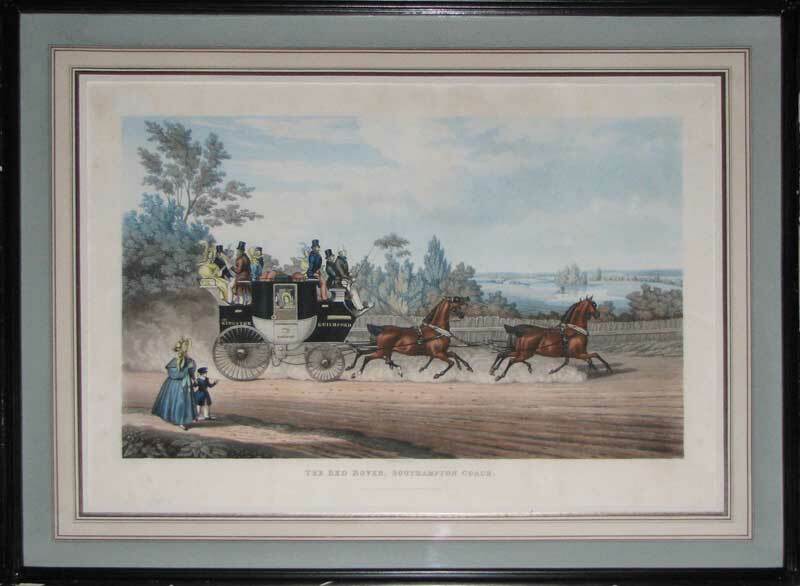 A very fine aquatint in full original colour by Charles Hunt; published in London in 1837. This image is unusual in that it is almost certainly both drawn and engraved by Charles Hunt. It depicts the Royal Mail coach being driven by four horses somewhere on the road between Southampton and London. 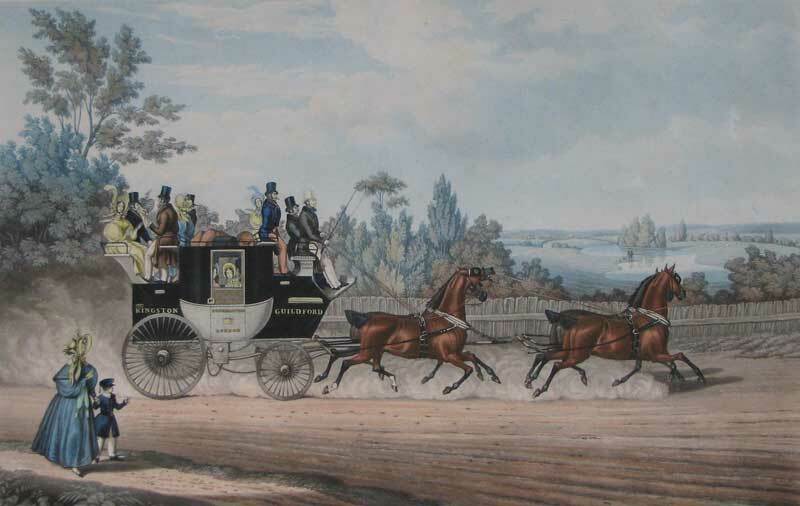 Including the coachman there are at least thirteen people on board along with all the luggage and post bags so one can only imagine how hard the horses were working! Kingston and Guildford are written on the coach doors, possibly indicating watering stops along the route. Charles Hunt was one of the most prolific and successful aquatint engravers working in London during the early to mid-nineteenth century. Along with his brother George, he engraved after all the most famous sporting artists of his day and produced some of the most accomplished work of the period. This wonderful coaching scene is typical of his work and shows the heights to which aquatint engraving had reached by the beginning of Queen Victoria's reign. A classic English coaching scene, formerly in the Norman Bobbins Collection.